In the enchanting area of Petra, few steps from the center we have built Apartments STELLA. 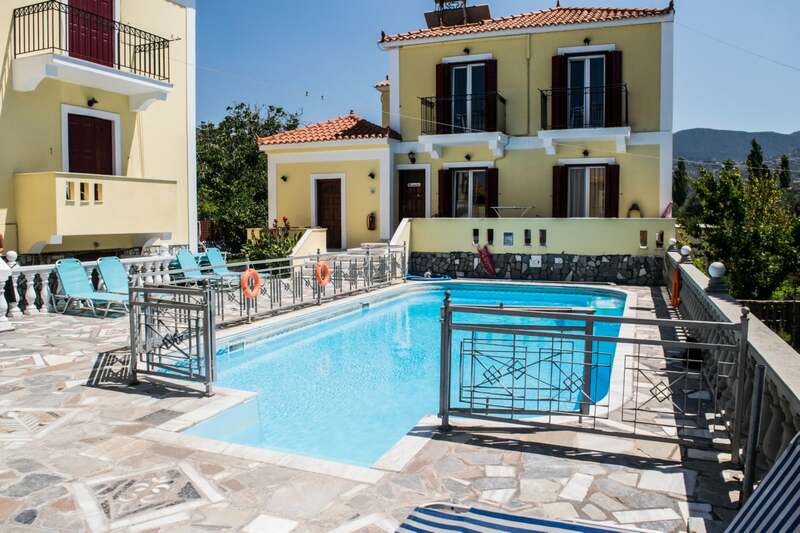 Constructed with typical Lesbos colours, a stunning view of the Aegean Sea with its beautiful sunsets, you have the opportunity for unforgettable holiday memories. 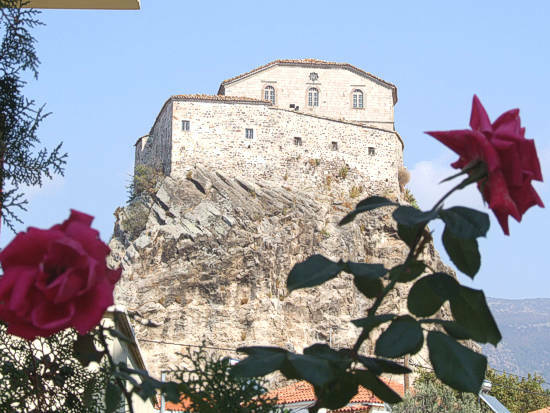 At STELLA you can enjoy your coffee in your private balcony or veranda with view the beautiful pool or the church of Virgin Mary at the top of an impressive rock (40meters tall) that dominates the center of the village. 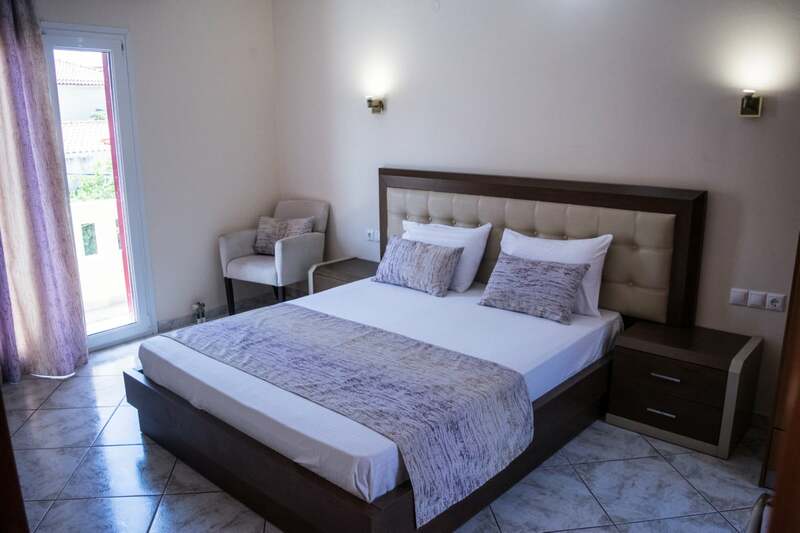 The high standards combined with the family atmosphere and friendly environment make it the ideal accommodation for couples families longing for a pleasant escape and need an economy solution. All the rooms have been perfectly decorated and equipped with all the necessary comforts for your needs. They have individual bathrooms and comfortable balconies or verandas full of sunlight. 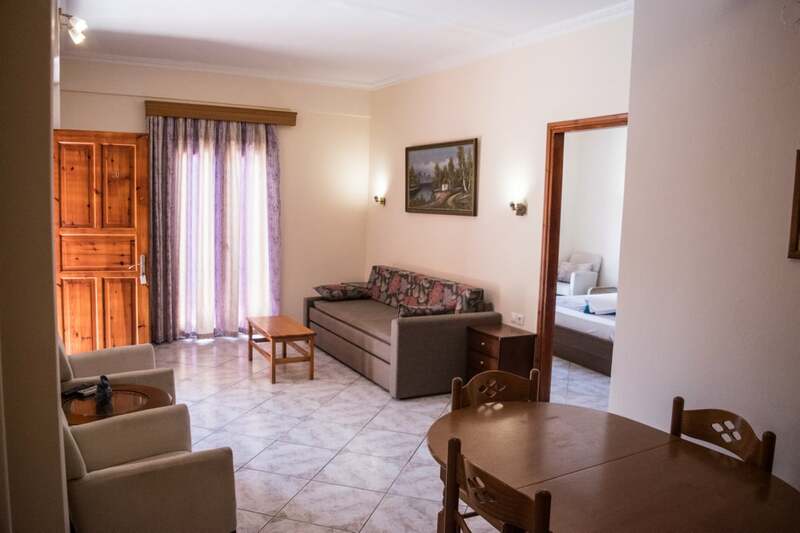 There are 7 Studios (for 2-3 guests) and 4 2room/apartments with two bedrooms each (for 2-5 guests) ideal for families with small kids , all with their own balcony as well (the 2room/apartments have two balconies each). It takes just few steps walk and you are right in the heart of the village of Petra with the picturesque markets lanes where you can find traditional products, handicrafts, souvenirs and gifts for your loved ones back home, restaurants, cafes, mini markets, pharmacies, medical office, ATM and several car and motorbike rental offices ready to help you. @ Fully equipped kitchen ,with two electrical cooker,fridge,water boiler,coffee machine. @ The accommodation is cleaned daily,while clean sheets and towels are changed twice a week.